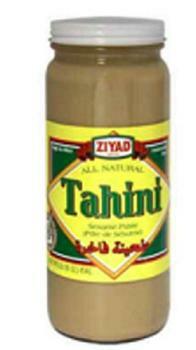 Ziyad Brothers Importing is recalling certain lot codes of Ziyad brand Tahini that may be contaminated with Salmonella. Lot codes and use by/expiration dates are printed on the white jar cap. Customers who purchased the recalled product should discontinue using it and return it to the place of purchase for a full refund. Consumers with questions may contact Recall Coordinator Ray Hanania at 708-298-3818.